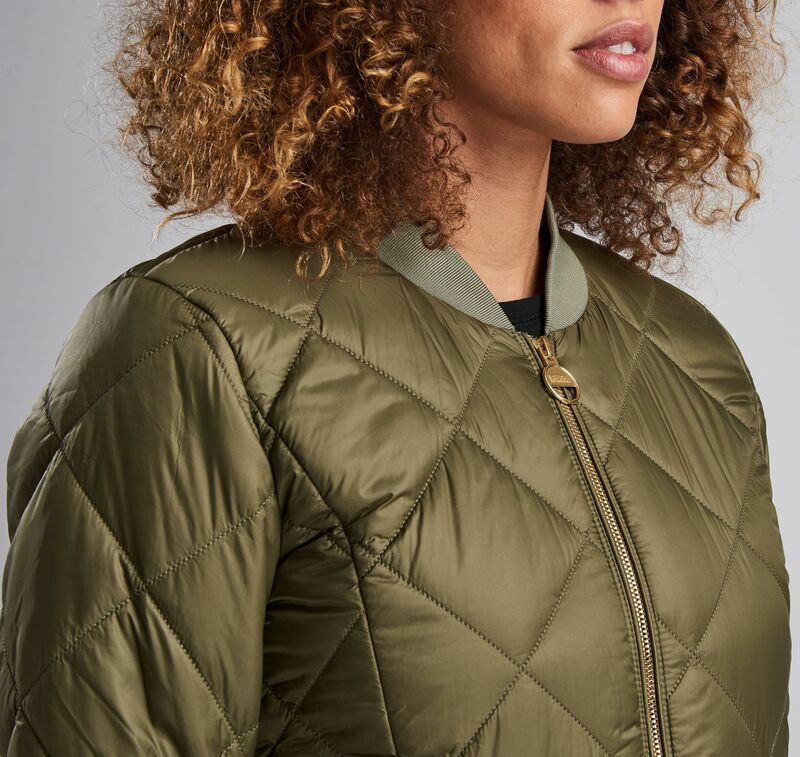 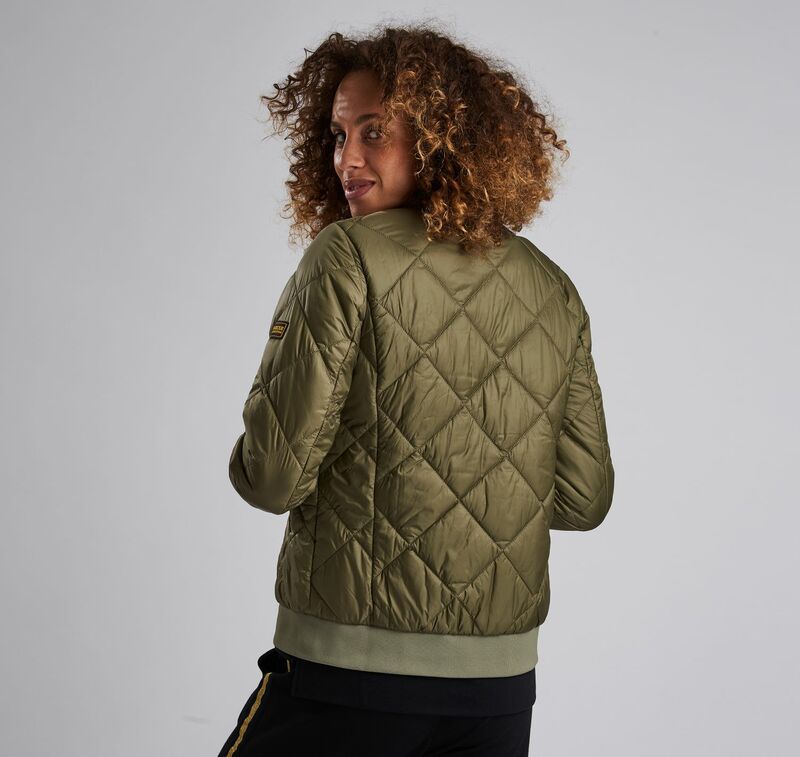 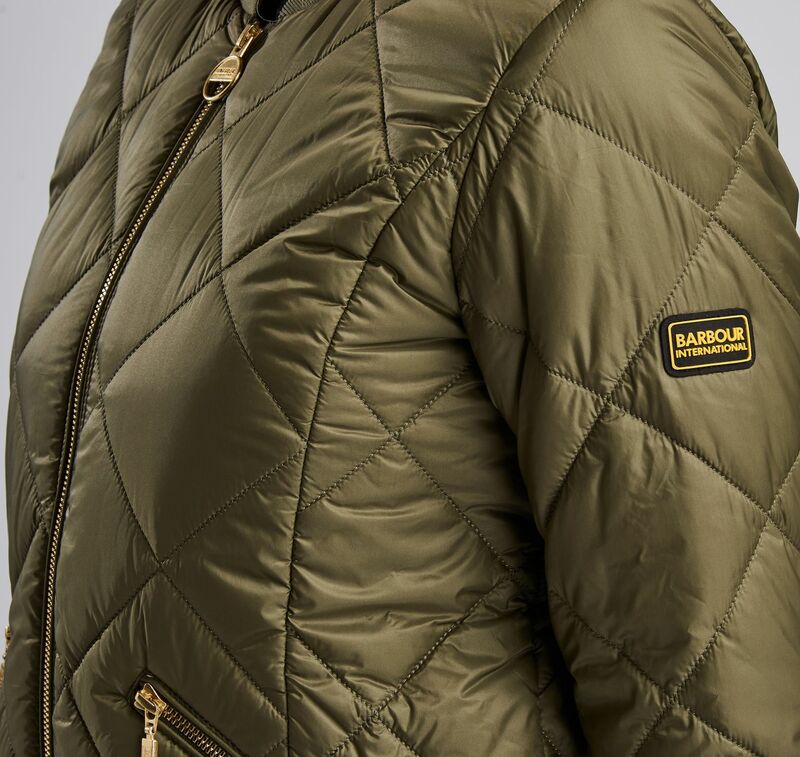 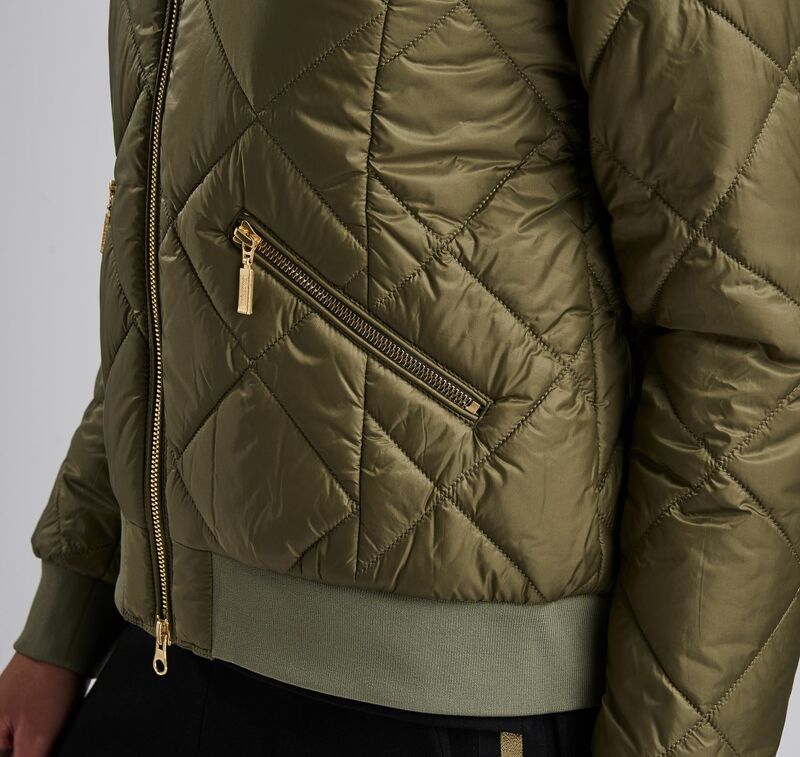 Infused with a sports vibe the Barbour International Sideline quilted jacket has a ribbed collar, cuffs and hem, a gold toned branded zip and features a diamond quilt effect throughout. 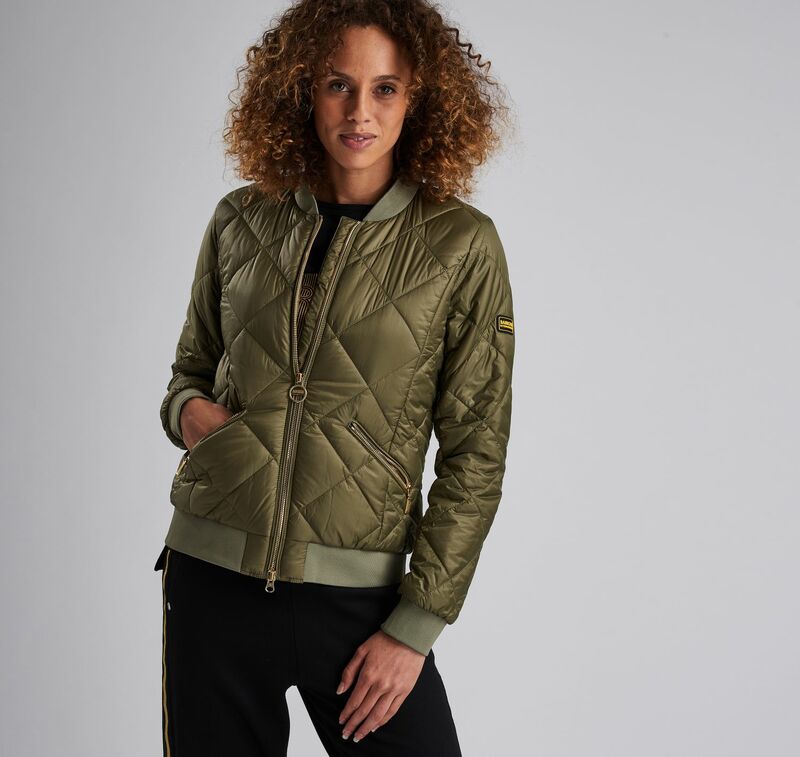 Cut for a flattering slim fit, this jacket is finished with a branded silicone badge on the sleeve. 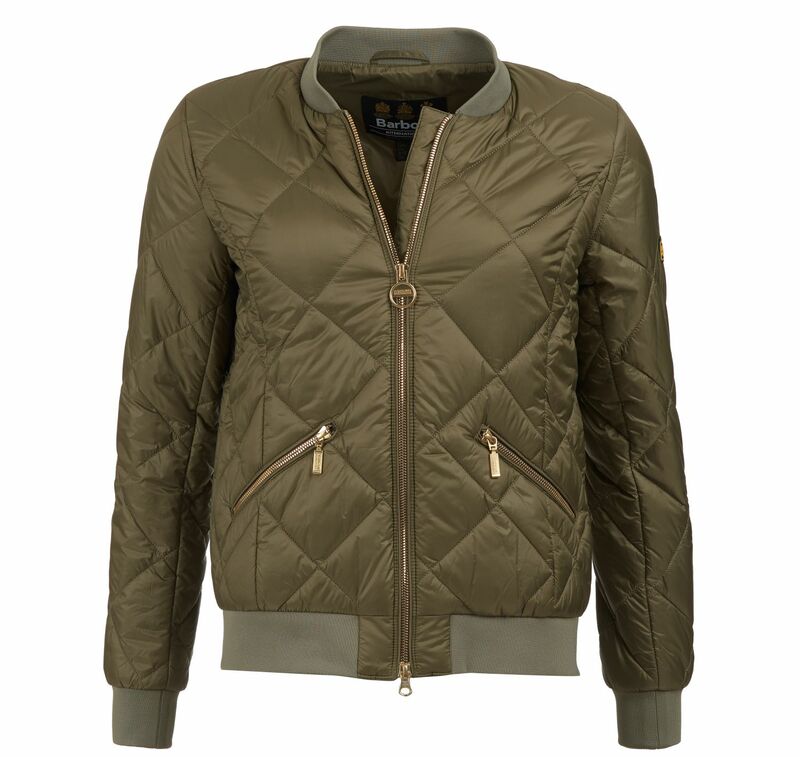 Perfect for casual looks this jacket can be worn with anything from knitwear to dresses.